Repeat these four rows for the pattern. 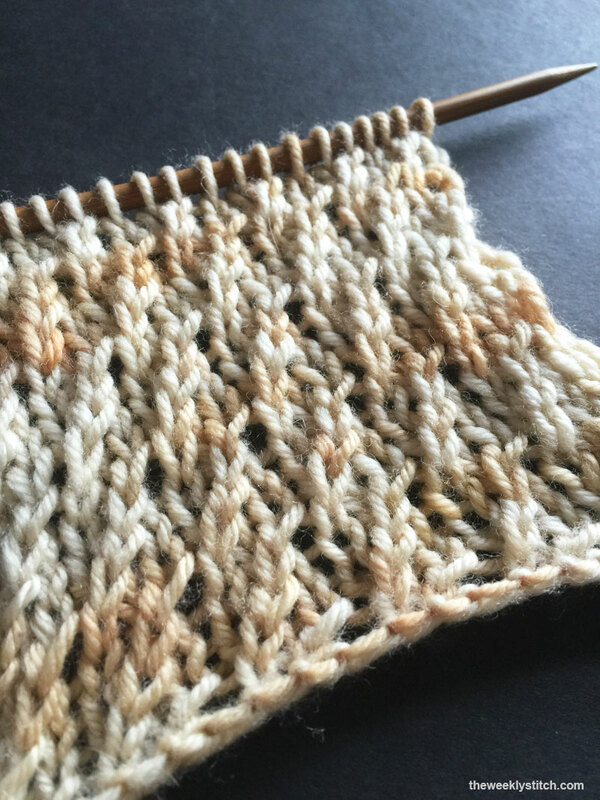 This stitch will curl, so you may want to add a garter/seed stitch border depending on what you are knitting. Lovely stitch !!!!! Thank you !!!!!!!! Oh, I like this stitch. I think it wants to be a dishcloth for practice. Thanks. Your work is lovely and your instructions are so clear. Thank you very much for taking the time to share your knowledge! Looks lovely and so easy. The way you out the yarn round the needle looked a little strange. Are you left handed? Ann, I am not left handed. 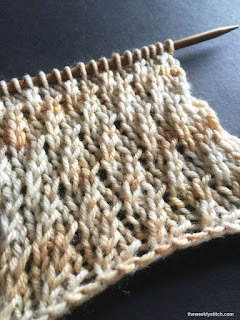 This is a lovely stitch - would you say it has the 'bunching' quality of a rib, or does the diagonal offset that a bit? This one will go in my knit sampler, for sure.